A revolutionary transportation project has recently been in deliberation in the Sunshine State. Florida has had plans to build a high-speed rail running from Tampa to Orlando, but there is a hurdle in the way. There are several local and national officials who are worried that the state taxpayer’s will be stuck with the responsibility of this project in the end; a great way to evade this issue is to acquire a surety bond for protection. 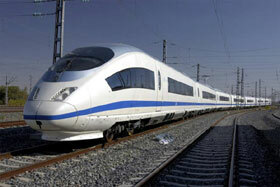 The debate is on whether or not a plan can be drawn up that eliminates tax payer risk to complete the high-speed rail. Florida Gov. Rick Scott is not convinced that it’s achievable. Scott told the Capitol News Service, “I remain convinced there is no way they can do a project that the state taxpayer is not going to be on the hook for cost overruns, the operating costs and if it ever gets shut down, the $2.4 billion they would have to pay back”. “Essentially we are privatizing the high-speed rail project with no risk to Florida taxpayers,” Tampa Mayor Pam Iorio said in a conference regarding proponents presenting their plan to surmount Gov. Scott’s denial of a $2.4 billion federal allocation to construct the Tampa-Orlando rail line. Problems like the ones being discussed are solved regularly using contract bonds in the world of surety. The anti-rail side of the debate seems to have apprehension stemming from the possibility of unforeseen expenses or failure to finish the job which would end up falling to taxpayer’s; this is exactly what a contract surety bond helps protect against. It’s important that the governor knows if a proper contract and surety bond is in place, the private company that is awarded the bid for the high-speed rail would be accountable for successful completion of the contract including any change orders associated with the contract. Should the contractor not have the resources to manage the job and fall short of their obligations, and then the responsibility would be on the surety company who wrote the bond, not the taxpayer’s. After all, surety bonds are simply a guarantee issued by the surety guaranteeing the successful completion of a construction contract. Eight private sector companies have expressed interest in the construction and operation of the project aspiring that it would eventually run from Tampa to Miami; this would drastically boost job opportunities while creating a transportation system that the State of Florida has never previously seen. Surety bonds are routine in major endeavors such as the rail project, so it would be surprising if this is something they don’t strongly consider. “Washington is aware of what’s at stake, the jobs and transportation,” said Castor, of Tampa. State officials have said 23,000 jobs could be created during construction of the Tampa-Orlando phase of the project. Since the surety bond world is a niche market, many people have never heard of them and if they have, they often don’t know what their purpose is. In the end, surety bonds are meant to guarantee something, whether it’s a type of service, project, payment, etc. There are many uses of the surety bond; hopefully officials take a close look at them as a solution for the Florida high-speed rail project.